When you have wrinkles, facial lines, or other irregularities – such as acne scars – skin resurfacing with the Icon™ Aesthetic System can help restore a smooth, enviable complexion. At Girard Internal Medicine in Philadelphia, Nicole Kimzey, DO, and the team of practitioners use this laser technology to improve the way your skin looks and feels, without surgery or lengthy downtime. Call the office or book an appointment online to learn more. Who benefits from skin resurfacing? Anyone who is bothered by mild-to-moderate skin flaws can benefit. The laser works on all skin types, including very light and very dark complexions. How does skin resurfacing with the Icon work? The Icon uses a fractional laser that directs microbeams to your affected tissue. This energy penetrates your outer layer of skin to stimulate new cells and the development of collagen, a compound integral to skin structure. As a result of skin resurfacing, your skin looks and feels smoother and looks more vibrant and youthful. 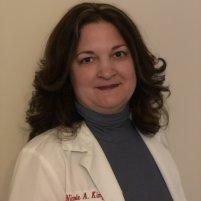 Dr. Kimzey develops a customized plan that meets your skin’s needs and your aesthetic goals. Many people benefit from just one treatment that addresses numerous skin complaints at once, or you may prefer a series of sessions for greater effect. Most people opt for three to four total treatments, scheduled about one month apart. When will I notice the results of skin resurfacing? It takes up to six weeks to see the full effects of your laser resurfacing treatment. Your body needs this time to turn over new cells, build new tissue, and create more collagen to enhance your complexion. Most people tolerate the laser treatment quite well. It will cause some discomfort, despite the chilled tip of the wand, as you feel the energy applied to your skin. You will receive cold packs immediately after your treatment session to ease discomfort. Following laser skin resurfacing, you may have mild-to-moderate swelling and a reddened look to your skin. These side effects usually resolve within a day. A slight pink hue and some skin peeling may occur for two to three days following treatment, but you can keep these side effects to a minimum with the application of ice packs or a topical cream provided by Dr. Kimzey. To learn more about how the Icon laser system can rejuvenate your complexion, call the office or book an appointment online.